The industry is divided as to which tourist destinations in Egypt will recover from the aftermath of the recent 18-day uprising the fastest. 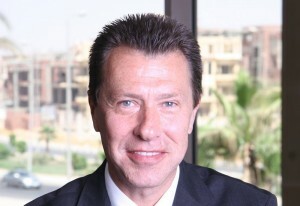 Jiri Kobos, managing director of Dusit Thani Lake View Cairo. According to TRI Hospitality Consulting managing director Peter Goddard, the capital city will be the first location to recover. “Cairo is likely to recover first and then secondary destinations such as Alexandria and resort destinations by the Red Sea, like Sharm El Sheikh, Hurgada and Luxor to mention a few,” said Goddard. Yigit Sezgin, global sales and marketing director for Rezidor, agreed and warned that the resorts outside the city could struggle. “We have seven hotels in Egypt. I believe that Cairo and Alexandria will come back faster but when we look at the resorts, that’s going to be very bumpy I would say,” he commented. Viability director Guy Wilkinson suggested that actually, these resorts might stand a better chance of recovery because they were less associated with the uprising. “In the interim period, uncertainty about security will probably continue to have a major impact on tourism to Egypt, with all but essential business travel being discouraged in government travel advisory notices,” said Wilkinson. “If civic demonstrations continue on and off in Tahrir Square, for example, then it may be that the resorts on the Red Sea and Gulf of Aqaba coasts will recover their business before those of Cairo and along the Nile,” he added. Jiri Kobos, managing director of Dusit Thani Lake View Cairo — which saw occupancies plummet from 90% to 10% during the protests — said he expected a similar pattern to emerge. “The further removed from Tahrir Square, the more speedy the recovery as the international traveller begins to venture back to Egypt. As resorts were largely unaffected, we expect these to recover quickest. “With the location of Dusit Thani Lake View Cairo, away from the city centre with unhindered access to the international airport, we also expect our corporate business to return quickly,” said Kobos.